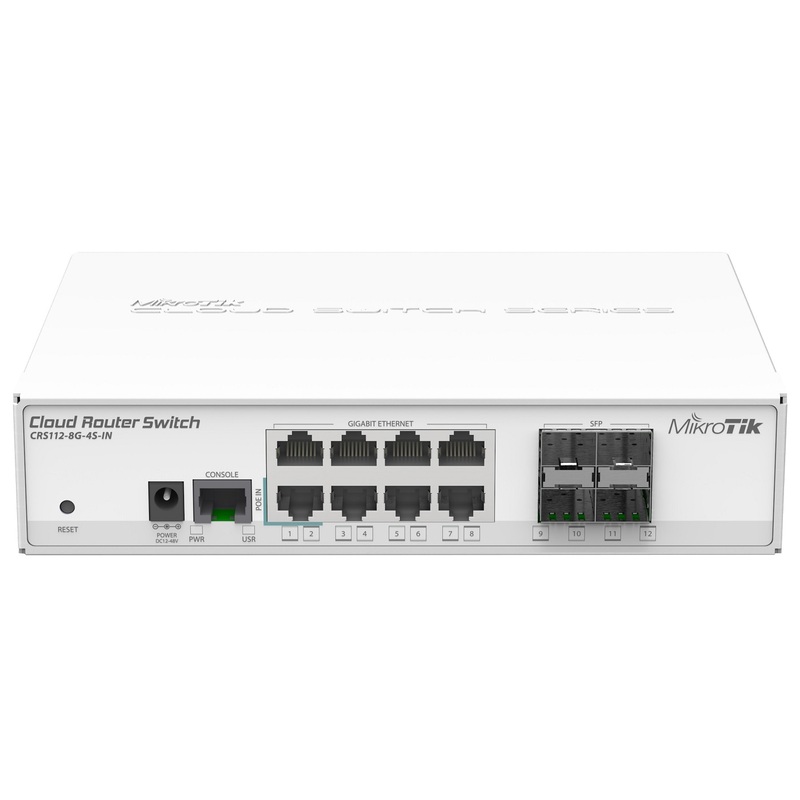 Cloud Router Switch 112-8G-4S-IN is a “small size low cost” member of MikroTik's CRS series. It comes with eight Gigabit Ethernet ports and four SFP cages. MikroTik's CRS series combines the best features of a fully functional router and a Layer 3 switch and is powered by the familiar RouterOS. All the specific switch configuration options are available in a special switch menu, but if you want, ports can be removed from the switch configuration and used for routing purposes.